Congratulations! If you’re reading this page, you’re likely a parent or guardian of a student who is eligible to join Phi Sigma Pi. And, chances are you've arrived at this page looking for more information about Phi Sigma Pi to ensure that your student is making a smart decision to consider joining. Well, you've come to the right place. We know your #1 priority is to ensure that your student is safe and has a good collegiate experience. If, after reading through the information here, your student has additional questions, please encourage him/her to contact a Phi Sigma Pi National Staff Member. We’re happy to help. 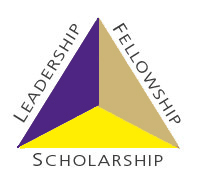 Collectively, these three ideals are known as "The Tripod" of Phi Sigma Pi. Complete a minimum of one semester or one quarter of collegiate work. Achieve a minimum 3.00 cumulative GPA on a 4.00 scale (this differs Chapter to Chapter). Have one semester or two quarters of arranged undergraduate study remaining, after completing the Initiation semester or quarter. Complete all aspects of the approved Initiation Program developed by the individual Chapter. Receive a two thirds majority vote by the Brotherhood upon completion of the Initiation Program. Meet all National and local financial obligations. Each Collegiate Chapter has the liberty to incorporate additional (or higher) requirements. Your student should inquire with the Chapter on his/her campus to learn of specific requirements for that Chapter. Eligibility does not guarantee membership. Is Phi Sigma Pi a Social Greek organization? Collectively, these three ideals are known as "The Tripod" of Phi Sigma Pi. Joining Phi Sigma Pi is the first step in a lifelong journey of increased awareness, improved capabilities, greater opportunities and a network of friendships. Will my student's academics be affected if they join Phi Sigma Pi? We hope so! Although we recognize that nothing can take the place of academic discipline and good time management, Phi Sigma Pi is committed to doing its part to be an asset to academics. Phi Sigma Pi is composed of some the brightest and most motivated students on campus. These students form a diverse and effective collection of knowledge. It is very common for our Members to assist each other with the academics. Regardless, one of our values is scholarship, we require a cumulative 3.00 GPA on a 4.00 scale to join. Our membership education programs stress the need for balance and to protect those things that we value dearly. Performing well in school is definitely at the top of the list. Is there a pledging or Initiation period? Yes. Our Initiation Program provides an opportunity for the student and the Members of the Chapter to assess whether Phi Sigma Pi is the right organization. If a new Member is to reach their full potential as a Member, they must have a thorough understanding of our organization and solid grasp of the principles upon which we were founded. Understanding the goals and objectives of Phi Sigma Pi and incorporating them into their life can only be accomplished through their commitment to participating in the initiation period. It depends. The time commitment does vary from Chapter to Chapter. Some hold more activities than others. However, like most things in life, the more you put into something the more you will get back. The first term is usually one of the busiest due to the Initiation Program. After the first term how involved the student becomes is largely dependent on how involved they wish to be. Each Chapter has weekly Chapter meetings and other occasional mandatory events throughout the year. Many Chapters do require that its Members attend a minimum number of events a year. Many students decide to be even more involved by serving as a Chapter Officer or choosing to be the Chair of a Committee. Yes. All applicable laws must be obeyed. The use of alcohol during a Phi Sigma Pi event is discouraged, but not prohibited. Alcohol may not be present at membership drive events, and the illicit use of any controlled substances at these events is also prohibited. A membership drive event is interpreted as any recruitment or Initiation event that is organized for or by the Initiates or requires their attendance for part or all of the time. Official Collegiate Chapter monies may not be used to purchase alcohol. Official Collegiate Chapter monies are interpreted as monies collected for deposit into the Chapter's account or accounted for in any financial management system, regardless of whether the money is intended for the general fund or a specific purpose. A Phi Sigma Pi sponsored event is interpreted as one that is organized by a Chapter. Is there an anti-hazing policy? Yes. Phi Sigma Pi National Honor Fraternity does not condone physical or mental (emotional) hazing of any kind, by any definition. The Grand Chapter strictly prohibits the hazing of individuals involved in any Fraternity activities, including Initiation. Read more of our Key Policies. What makes Phi Sigma Pi a Fraternity and not a society? Phi Sigma Pi is a Fraternity because we embrace the concept of "Brotherhood". Our Members are called "Brothers", regardless of their gender identity. Brotherhood is fostered by sharing common goals and common experiences. We strive to engage in events that strengthen our Brotherhood bonds. We view each person as an integral part of the extended Phi Sigma Pi family, the key word being family. Phi Sigma Pi becomes a second home for students, a home comprised of a group of people that respect, trust, value and appreciate each other. Our Members not only enjoy working alongside each other during official Phi Sigma Pi events, but they genuinely desire to be with each other outside of officially sponsored Phi Sigma Pi events as well. Brotherhood becomes a bond that lasts long after graduation. Societies typically do not cultivate this type of relationship with their Members. Can a member of Phi Sigma Pi still belong to a Social Fraternity or Sorority? Definitely! Phi Sigma Pi takes the best attributes from an Honor Society, a Service Fraternity and a Social Fraternity and blends them into one organization different from all others. Phi Sigma Pi does not fit the typical mold. We are not part of the Social Greek system. Other campus organizations may share some similar attributes, but none will possess the entire package Phi Sigma Pi offers. Phi Sigma Pi is THE ONLY National Honor Fraternity in existence. Phi Sigma Pi is unique. Phi Sigma Pi does not detract from other existing organizations, it complements. Our Members tend to be some of the most involved students on campus. We routinely have Members who are also involved in Social Fraternities or Sororities, other Honor Societies, university athletics, student government, and many others. This phenomenon has led to many successful collaborative joint ventures between Phi Sigma Pi and other campus organizations, sharing of ideas, improved awareness and respect for other campus organizations and an improved sense of community. We support involvement in other organizations. How will my student benefit from membership in Phi Sigma Pi? In many ways. An investment in Phi Sigma Pi is an investment in your student's future. Here are the types of things that many people receive as a direct result of their decision to join Phi Sigma Pi. We've listed a dozen, but there are undoubtedly more. However, like most things in life, the more you put into the organization the more you will most definitely receive back. Email chapterservices@phisigmapi.org if you have additional questions about our programs and your student's involvement.